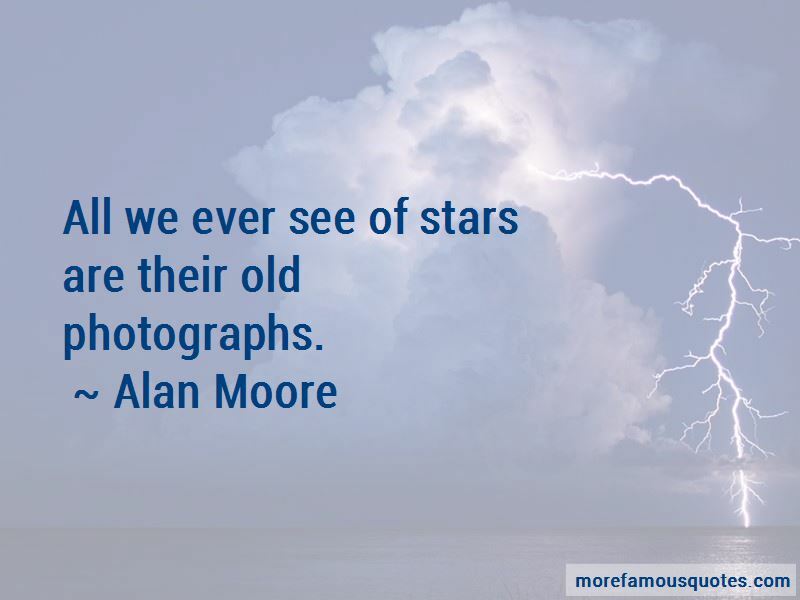 Enjoy the top 395 famous quotes, sayings and quotations by Alan Moore. “There, did you think to kill me? There's no flesh or blood within this cloak to kill. There's only an idea. I am brother to dragons, and companion to owls. My skin is black upon me, and my bones are burned with heat. “I thought as much. Miss Murray, though I am a beast, do not think that I am stupid. I know that I am hideous and hateful. I am not loved, nor ever hope to be. Nor am I fool enough to think that what I feel for you is love. In 1965, worked with Nite Owl bringing street gangs under control. Tackled the Big Figure together. Brought down Underboss together. Good team. Until he got soft, like rest. Until he quit. No staying power. None of them. Except Comedian. Met him in 1966. Forceful personality. Didn't care if people liked him. Uncompromising. Admired that. Of us all, he understood most. About world. About people. About society and what's happening to it. Things everyone knows in gut. Things everyone too scared to face, too polite to talk about. He understood. Understood man's capacity for horrors and never quit. Saw the world's black underbelly and never surrendered. Once man has seen, he can never turn his back on it. Never pretend it doesn't exist. No matter who orders him to look the other way. We do not do this thing because it is permitted. We do it because we have to. We do it because we are compelled. “Benny Anger: What's up, doc? Bond believes we are his pawns. He thinks no-one observes his game. But I am No-One. I observe everything, and to play with Nemo is to play games with Destruction. “I am not man so much as syndrome; as a voice that bellows in the human heart. Outside an ambulance begins to scream as if overwhelmed by the suffering it must forever carry in its belly. You piss off a bard, and forget about putting a curse on you, he might put a satire on you. “Come, dry your eyes, for you are LIFE, rarer than a quark and unpredictable beyond the dreams of Heisenberg; the clay in which the forces that shape all things leave their fingerprints most clearly. If gods are transcendent ideas, then the idea of a god IS a god. 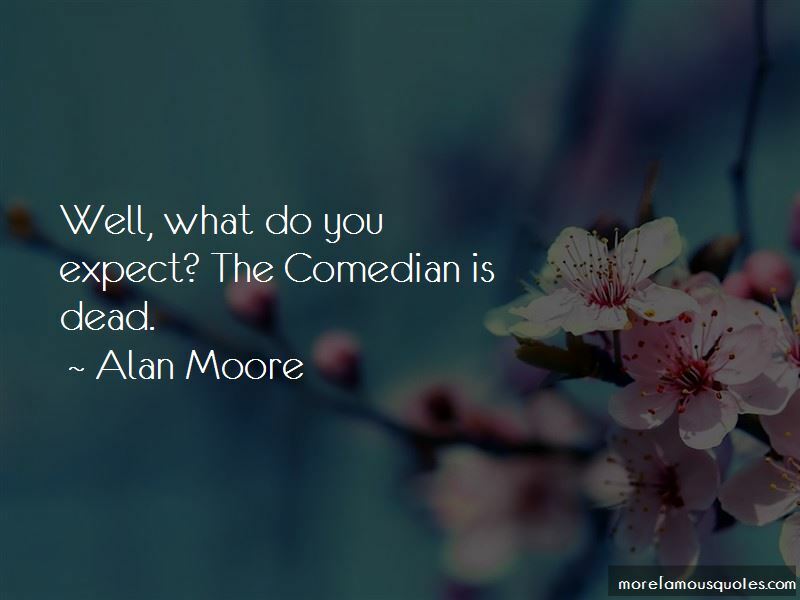 Want to see more pictures of Alan Moore quotes? 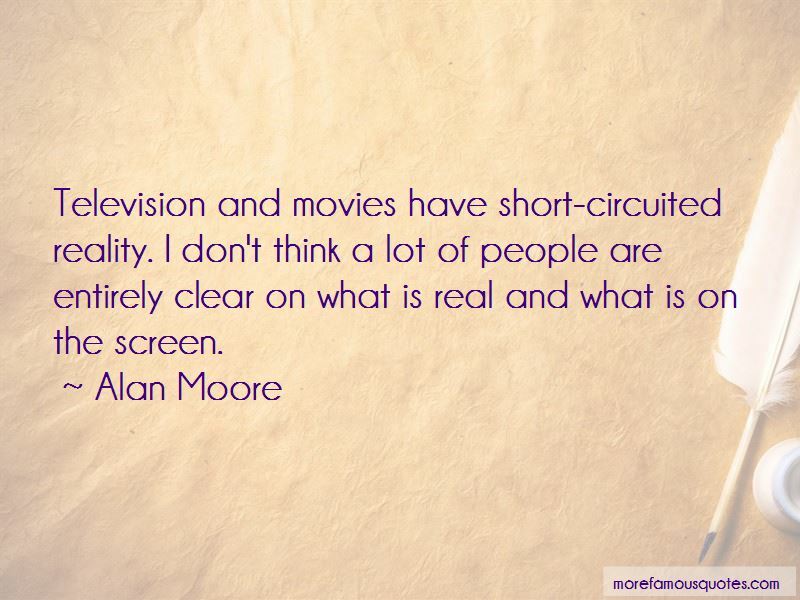 Click on image of Alan Moore quotes to view full size.